With hubby back in town it was a chance to get back to some sort of normality. Monday I headed off to my Trainer for my normal evening session and got myself back on the Indoor Rower. With a few Indoor rowing events happening this year Pioneer Fitness Indoor Rowing Fundraiser on 2 June 2013 and National Indoor Rowing Championships on 14 Sept 2013, it is time to get back on the rower. I actually rode my bike to get there (about 15 mins each way) and then did a 10 minute warm up and then 3x 8 minute rows with a 3 minute rest in between. Considering I haven’t been on the rower for a few months it felt good I rowed to a HR of 150bpm, plus a few sit-ups during the 3 min rest. Tuesday was our normal swimming lesson for Miss 3 and then managed to make it to Buggy Fit class where we did some running around a grassy oval, 1 fast lap, 1 recovery lap. I challenged myself to run the whole way at my own pace and tried to push myself as well. In between running laps we were doing some horrific exercises, including Turkish get-ups, Tricep dips, Prisoner get-ups and push-ups. All those “Ups” were hard. After several sets of running and exercises on a pretty warm day I was working up a good sweat and really enjoyed a good hard session. Prisoner Get-Ups – try 20 of these in your workout. 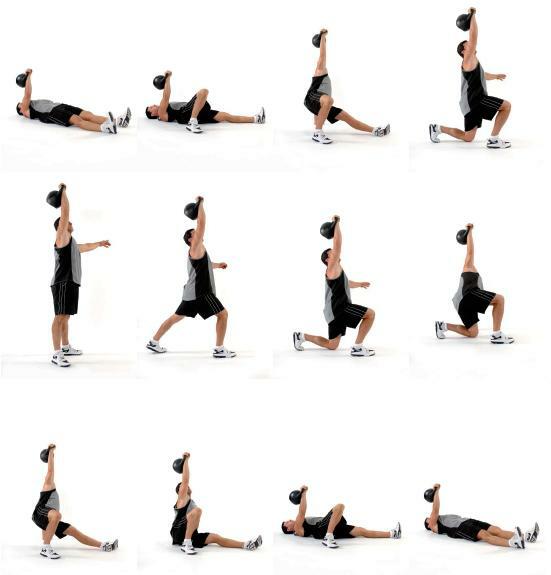 Turkish Get-Ups – Try 20 of these without weights. Wednesday I was too tired for my early morning swim. Thursday I headed to my gym EnVie and did a cardio session including 20 mins on the treadmill, 4 min warm up, 1 min fast 1 minute slow, by the time I was properly warmed up I was doing my 1 minute fast at 10 and 10.5 kph, pretty happy with that. After I got home I carried on with my renovations punching nails down in the floorboards and filling all the holes, ready for Saturday’s planned sanding day. Friday I had no time for exercise instead an early morning trip to the Chiropractor before work, finally getting my hips, back, neck and shoulders in alignment. Saturday in lieu of exercise I opted for an early morning trip to the Hardware store to hire a floor sander and spent the better part of my morning dust covered and on a mission to get the floor in Hubby’s office finished. The afternoon was spent putting 2 coats of urethane on the floor at 3 hour intervals. The finished floorboards. Next job painting. Sunday I pottered around the house and finished another 2 coats on the floor, not very active at all. Then in the afternoon I headed out for High Tea with a couple of friends from Mothers Group, very nice nibbles and great conversation. So as normal as normal can be but with only a 3 good workouts this week I need to get a few more in next week. This entry was posted in Fitness, My Life and tagged exercise, indoor rowing, workout by admin. Bookmark the permalink. Nice looking floor boarding. I also liked the get up exercise. WOW! Good for you sanding the floor boards! Impressive…they look great. Lydia C. Lee recently posted..It’s Too Quiet.. I find any sort of house work a fantastic substitute for a structured exercise session. 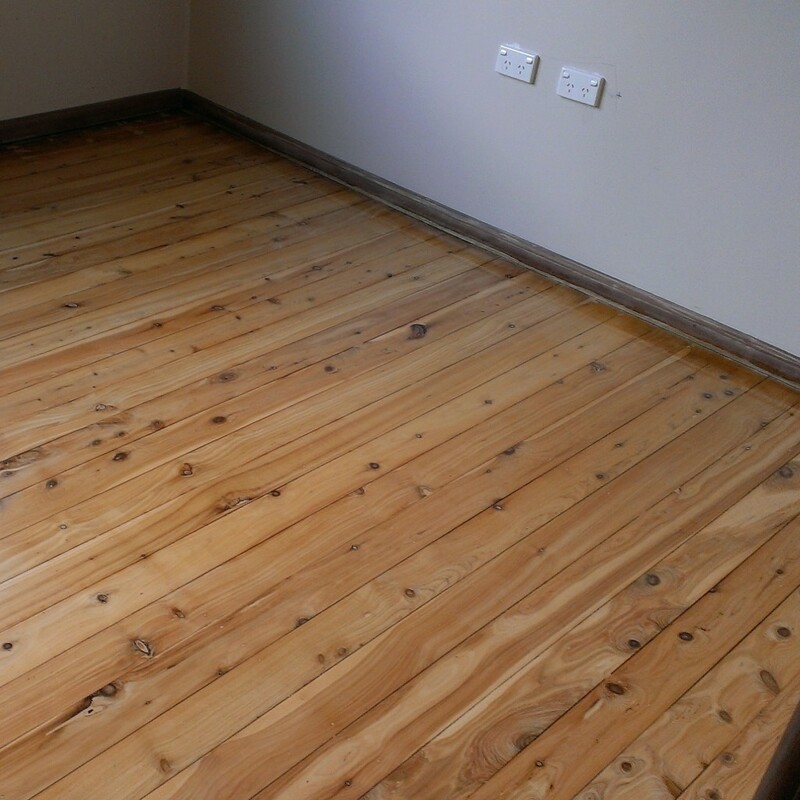 The floor boards look great! Those turkish get ups are a killer aren’t they. I do them in my kettlebell class. Ouch. Rhian @melbs recently posted..Yoga – A guide to faking your inner zen. Are you saying there is a whole class with kettlebells, that would be a killer, I have successfully avoided them so far. I think 3 workouts in a week is bloody awesome! Grace I didn’t even do them with kettlebells and that was bad enough.